BioPak’s BioCane packaging is made from reclaimed sugarcane pulp, also known as bagasse, a rapidly renewable resource and a by-product from the sugar production. It has now been certified commercially AND home compostable to EN13432, AS4736 and AS5810 standards, and can be recycled in the paper co-mingled recycling stream. While there are other sugarcane packaging options on the market, BioCane is the only range that is certified home compostable in Australia and New Zealand – making it a more sustainable replacement for the ubiquitous plastic takeaway container. BioCane packaging is made from reclaimed sugarcane pulp, also known as bagasse, a rapidly renewable resource and a by-product of the sugar production. BioCane packaging is sturdy and provides a moisture and grease resistant surface that allows the packaging to retain liquids and food for a longer period of time. Plus, it can come in any size or shape thanks to our in-house design team who assists our customers in producing customised sugarcane packaging. 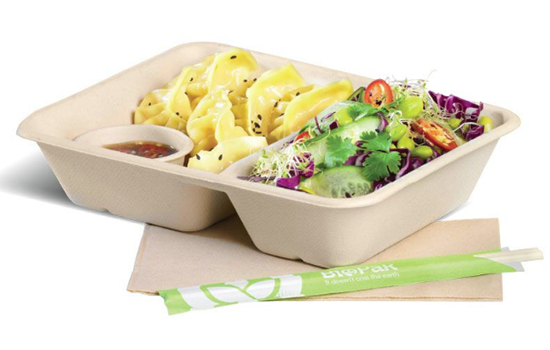 The BioCane range includes bowls, plates, trays, containers, clamshells, and sauce cups – offering a more sustainable replacement for conventional plastic and polystyrene takeaway containers and single-use foodservice packaging. They’re microwave safe and oven proof up to 220°C for 20 minutes, and refrigerator and freezer safe. BioCane packaging is sturdy and versatile and can handle a wide variety of hot and cold foods, and the bowls and sauce cups have a secure, leak-proof lid – making the BioCane range perfect for food delivery services and takeaway. Plus, they’re certified home and commercially compostable to EN13432, AS4736 and AS5810 standards, and can be recycled in the paper co-mingled recycling stream. While there are other sugarcane packaging options on the market, BioCane is the only range that is certified home compostable in Australia and New Zealand. BioCane packaging is great for food presentation. Sturdy and heat resistant, it retains integrity and ensures food is preserved for the end user – making it an excellent option for food outlets utilising delivery services like UberEats. The range includes plates, trays, clamshells, and rectangle containers with compartments so elements of the dish can be separated ensuring food presentation is preserved, and sauces can be kept separate. But does it really look good? The proof is in the pudding – or tacos, in this case. We have been working with Mad Mex since 2014 and this year we helped them design and produce a completely customised DIY Taco Kit to ensure the customer experience of Mad Mex tacos was as good at home as it is in the restaurant. BioCane packaging is extremely durable, lightweight, and inexpensive. It can be heated up or frozen, has no taste, odour or harmful additives, and is moisture and grease resistant. This makes it an ideal alternative to traditional polystyrene food packaging, perfect for quick service restaurants, takeaway outlets, and food delivery services. We offer great value to customers with pricing comparable to other sugarcane packaging suppliers. Plus, what could be more valuable than replacing plastic packaging with certified compostable packaging? When we buy a product we also buy any waste associated with the product. In New Zealand approximately 252,000 tonnes of plastic are sent to landfill each year. 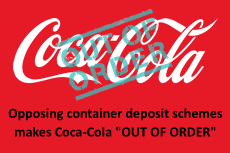 While disposable food containers offer convenience and a safe and hygienic vessel for takeaway food, the kind made from conventional plastics are unsustainable and pollute the environment at every stage in their life cycle. Thankfully, as support for the zero waste movement grows, and more people become aware of the principles of a circular economy, the need for a sustainable alternative to plastic food containers is clear. BioCane packaging aligns with the principles of a circular economy, removing the need for plastic packaging to be created as well as diverting waste from landfill into composting facilities where it has a positive outcome. If a large music festival serving 100,000 meals replaced all plastic containers and used BioCane instead, it would save 3 tonnes of plastic – that’s the weight of an elephant. BioCane packaging has an indefinite shelf-life. We know how important it is to maintain sufficient inventory. That’s why all orders are dispatched on the same day they are received. Plus, we offer free freight to most metro areas and subsidised freight to remote locations. As a certified B Corporation, BioPak have met verified higher levels of social and environmental performance, transparency and accountability. BioCane packaging offers a more sustainable replacement for the ubiquitous plastic takeaway container. It’s made from reclaimed sugarcane pulp – a by-product of the sugar refining industry that would have otherwise been burned. Transforming an output that is currently considered waste into a valuable input for another process provides significant environmental benefits. Our BioCane production facility is certified to ISO 14001 – Environmental Management Systems. Like all our products, BioCane is certified carbon neutral, home and commercially compostable. But not all councils offer commercial composting facilities. So, as part of our commitment to making a positive difference, we have also launched our own composting service for food service packaging – currently, we are in Auckland and are close to launching our Wellington service. The BioPak Compost Service is designed to divert food scraps and food service packaging from landfill and completely close the loop of our products’ life cycle, ensuring our products are being turned back into nutrient-rich soil, instead of ending up in landfill. This article was originally published at BioPak. On 30th of May 2018 – BioPak news.